Home > News > Getting Married in 2017 – 2018? Getting Married in 2017 – 2018? We’re delighted to be able to bring to you our new Weddings Brochure for 2017 – 2018.. With the choice of three beautifully styled rooms, we can cater for up to 60 daytime guests for the Wedding Breakfast and up to 120 evening guests. We believe our venue is very special; one where you’ll find a blend of the 18th and 21st centuries offering excellent cuisine, customer service and attention to detail. Becci is your dedicated Wedding Co-ordinator, and she will ensure you receive a wedding celebration that is designed for your individual requirements. 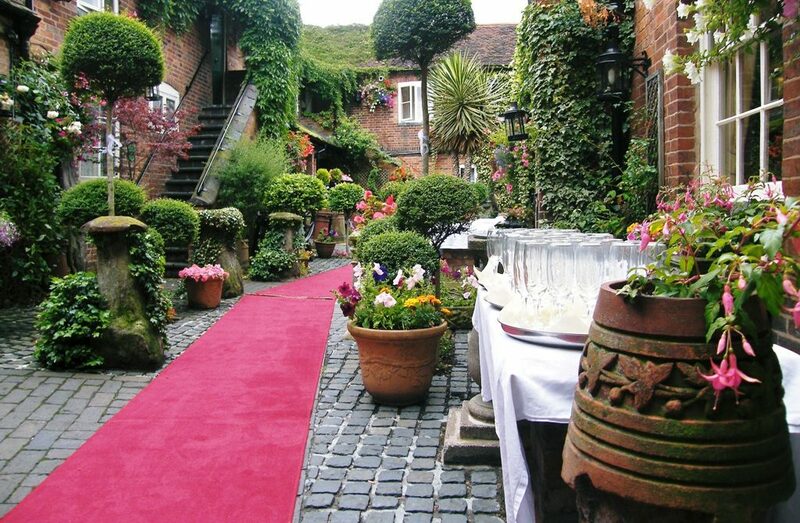 If you’re getting married and you want to celebrate in a perfect place and with a perfect price – why not take a look at The Greyhound in Lutterworth, Leicestershire. Wedding packages start from just £300 with Wedding Breakfasts from £25 per person and buffet menus from £10.95 per person. We’ve also designed an all-inclusive Wedding Package from just £3,800 which provides all you need to make your celebrations very special. Call 01455 553307 or email Becci for more information.